Nigel Farage – if he ruled the world what would he do? Nigel Farage gives The Field the lowdown on what he would do if he ruled the world.  This regular opinion piece features in The Field every month and aims to generate interest and debate. 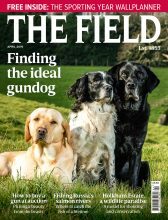 The Field understands the issues at the heart of the countryside, and that is why we are an authority on rural opinion, shooting, hunting, fishing and everything else you might find in a country house. To make sure you never miss out on what is best in The Field subscribe to The Field before Christmas and receive a fantastic 38% saving. When Nigel Farage had the opportunity to tell us what he would do if he ruled the world it was enlightening. Do you agree? As leader of the UK Independence Party his role at the next general election may be crucial. Will the countryside lend its support? Or do the Tories still have what it takes? If I ruled the world then UKIP have done rather better in the May 2104 elections than anyone was anticipating. Not that the job would be one I could imagine anyone wanting and for me the same principles would apply as with my current position: I’d give the power straight back to the people. But in the spirit of this column and to avoid an article as deadly dull as the AV referendum debate, I shall imagine I had unlimited power to make rules as I see fit and hope that The Times doesn’t try to make out it’s the 2015 UKIP manifesto. First things first: let’s deal with those speed cameras. I have been flashed a few times, which is unsurprising given the hundreds of thousands of miles I have driven around the country over the past 15 years as an MEP. They’re nothing more than a cash cow for the police at the expense of busy people who just want to get from A to B. Driving in this country is unpleasant enough and personally I think people should concentrate on what’s on the road rather than what’s at the side of it. And on the subject of bans, I won’t surprise anyone by saying that I’d overturn the smoking ban and let pubs and clubs decide their own rules. With pubs closing at a rate of 26 a week I think it’s fair to assume that the fanat-ical anti smokers haven’t been rushing to their local hostelries ordering pints of the local ale: all it has done is drive away the regulars from pubs, slashing their takings when they are already struggling with the high prices from the pub companies. I love local pubs. Not the identikit ones with loud music blaring, interspersed with the pings from the microwaves in the kitchen but the traditional village pubs where people meet up after work or at the weekend to chat with each other and set the world to rights. They’re mini parliaments where people keep abreast of news and talk about matters that concern them and they’re an important part of our country’s traditions and ways of life. But enough of the bans! If I am to rule the world then I think it’s vital that I bring in some laws based purely on vanity and personal preference in keeping with the grand tradition of emperors. Firstly, I need to do something about the England cricket team. Given their ghastly performance in the Ashes earlier this year I think I need to give considerable attention to ensuring the Barmy Army don’t feel so humiliated again. Long term, I think this means that we have to bring cricket back into all schools, not just the private schools, so selectors have a wealth of talent from all backgrounds to pick from, not just the privileged few. It’s basically our education policy combined with the thump of leather on willow. After all, if we want cricket to be successful we shouldn’t model it on how we pick our politicians. Look where that has got us – bread-making prime ministers and a leader of the opposition who doesn’t know the price of a loaf, let alone use his own. But clearly there’s a short-term problem that needs to be addressed and that is why I think I will need to ensure that English batsmen have some kind of superpower advantage until the long-run strategy bears fruit. So in the “to do” column of the “ruling the world” section of my note pad I’ll blue-sky think whether it’s running at incredible speed to rack up the runs, magnet-style hands to never miss a catch or the bat equivalent of the Firebolt broomstick to get that ball over the boundary. On the subject of hobbies, I would bring in a new rule for anglers who suffer far too much at the hands of the weather. Naturally my globally dominant position will result in the breakdown of the EU and a world of free liberal democracies cooperating and trading with each other. This means the end to the environmental disaster that is the Common Fisheries Policy, which has destroyed our traditional fishing industries and the seaside towns and villages that lived off the sea for hundreds of years. But I will also bring in a new rule which will allow any angler who has had their weekend sport cancelled because of bad weather to take a day off in lieu at the next available opportunity. Given the relaxation in rules for businesses which the demise of the EU would result in, there will be scope to allow flexi-fishing-time in order to achieve a healthy work-life balance for those people who wish to spend time on the ocean wave. Readers may think that this is a rather male-dominated list, although given that I am a man that shouldn’t come as too much of a surprise. However, I am aware of a number of rules which discriminate against women and which I would seek to scrap. First on the list would be the reversal of that stupid rule which stops insurance companies giving women cheaper car insurance based on the statistical evidence that they have fewer accidents. And second, chocolate would be calorie free. Not an exhaustive list for sure, but it goes without saying that many of society’s ills would be achieved by one measure I hope I will not need to rule the world to achieve.